Il Papiro is an Italian company that has been producing hand decorated paper products since the 1970s. While in Rome earlier this month I spotted their shop and the street and ventured inside. 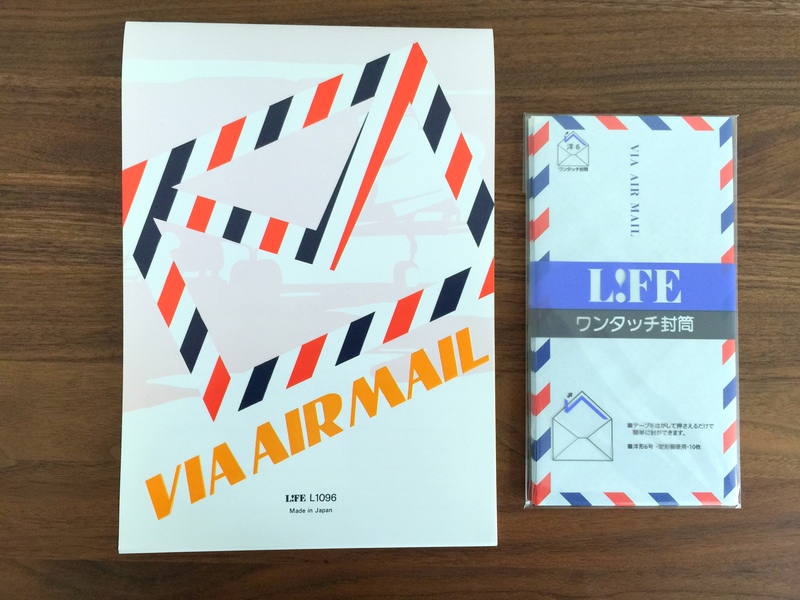 The small shop was filled with beautiful books, stationery and rubber stamps. 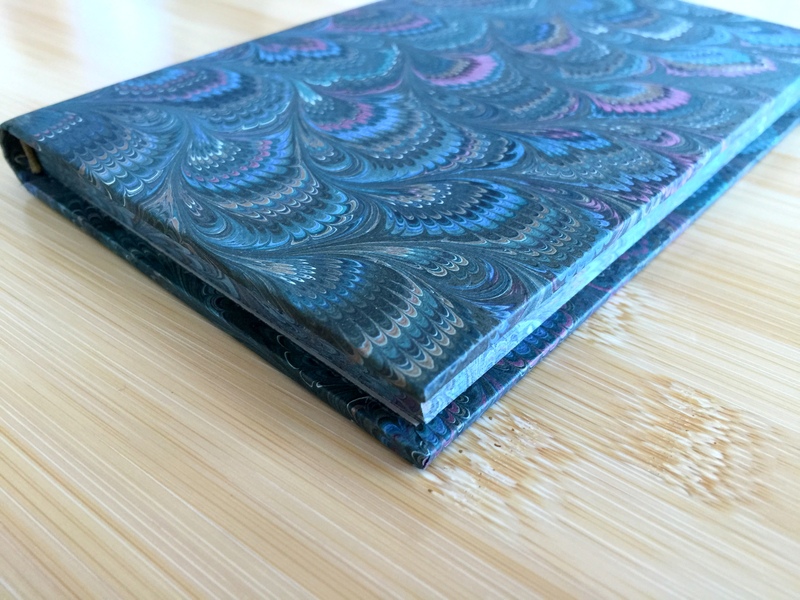 The marbleized books immediately caught my eye. I picked one off of the shelf and the friendly saleswoman proceeded to show me the same book in a couple of sizes and in many different colors. 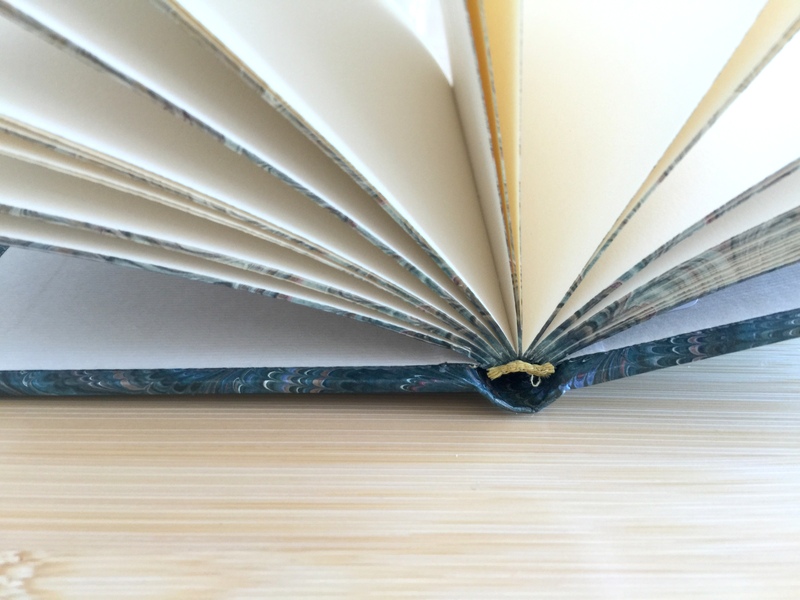 Because the books are marbleized by hand no two books are exactly the same. 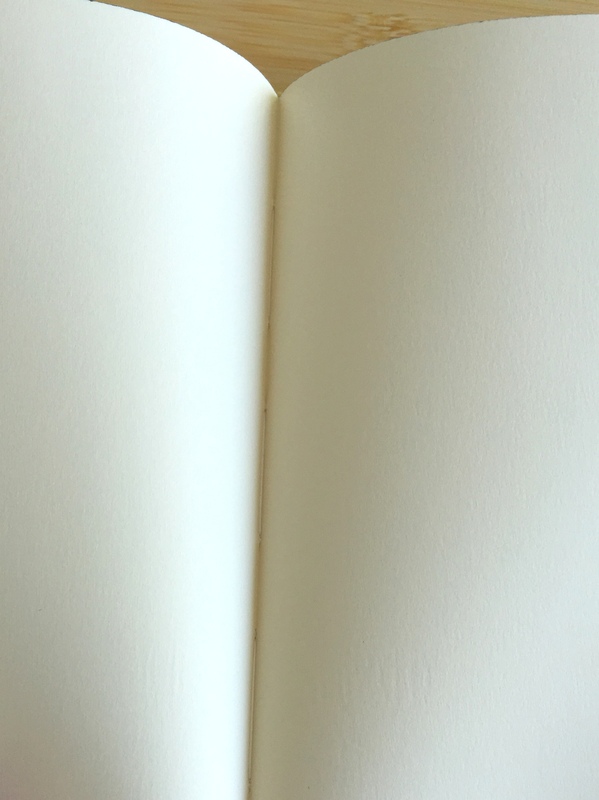 I selected a green book with 10cm x 15cm pages. 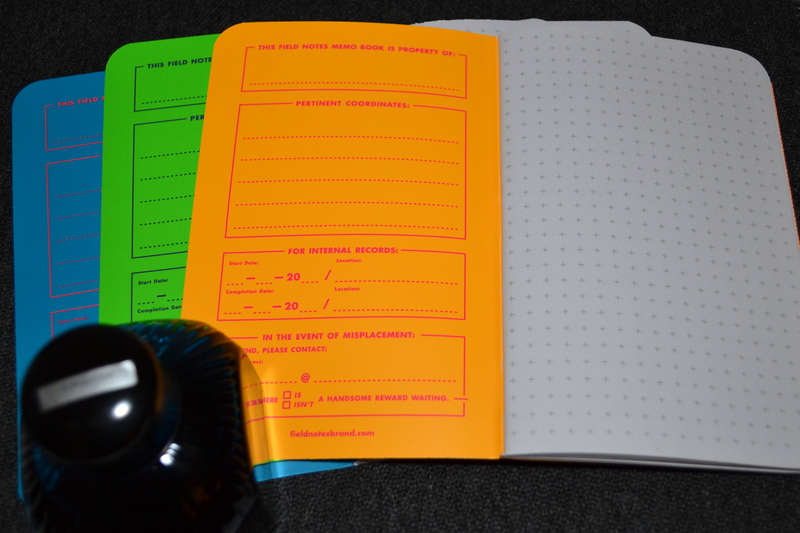 The blank pages are of an excellent stationery-grade paper. 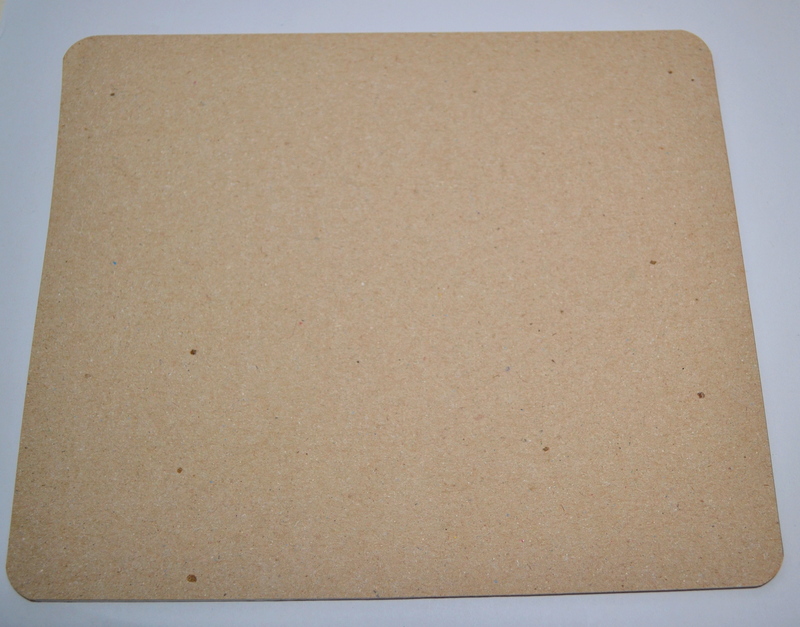 The paper is watermarked with “Il Papiro Firenze” and their logo. 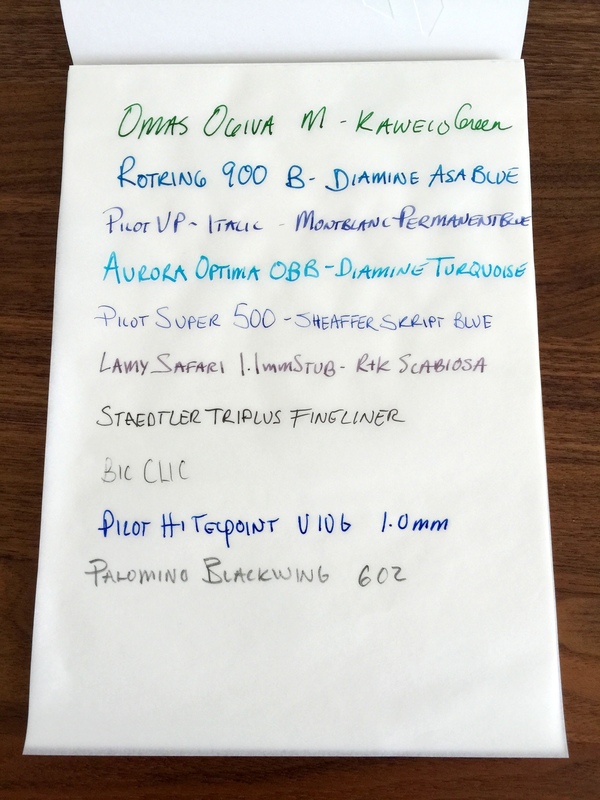 The paper holds fountain pen ink very well and you should have no problems writing on both sides of this paper. 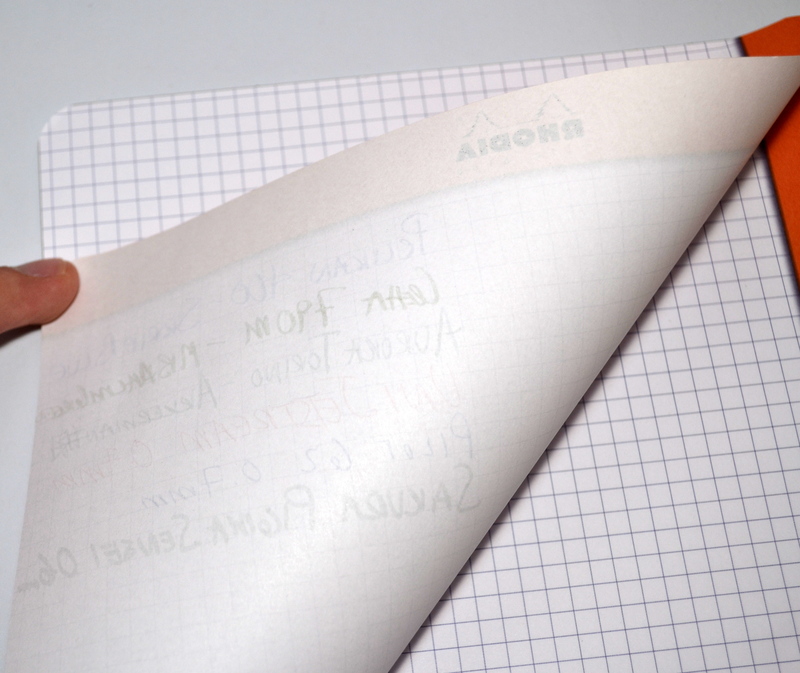 The paper provides pleasant feedback while still feeling smooth. If you look closely you can see the stitching. 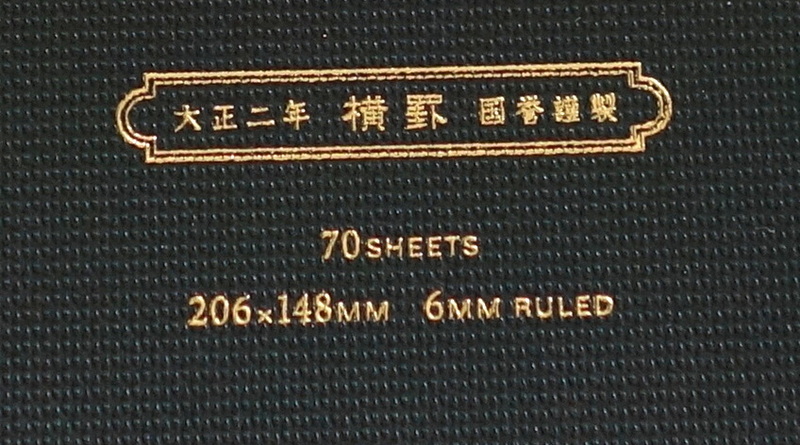 The book has a stitched binding and small signatures, though not as small as those seen in high-end Japanese notebooks. 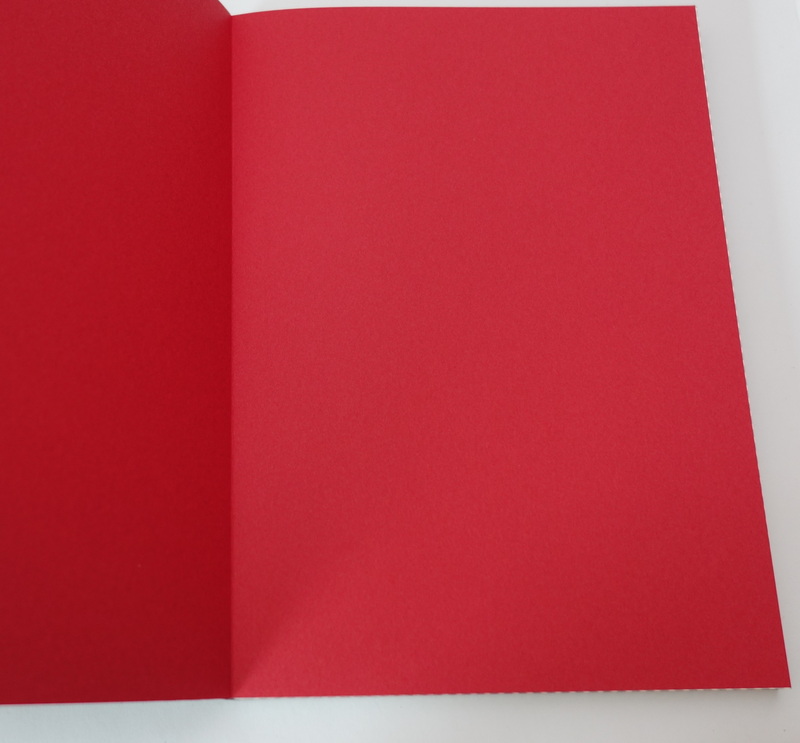 The cover has a nice texture that is pleasant to the touch. I really am enamored with this notebook. So what are the drawbacks? As I am sure you can guess, it’s the price. 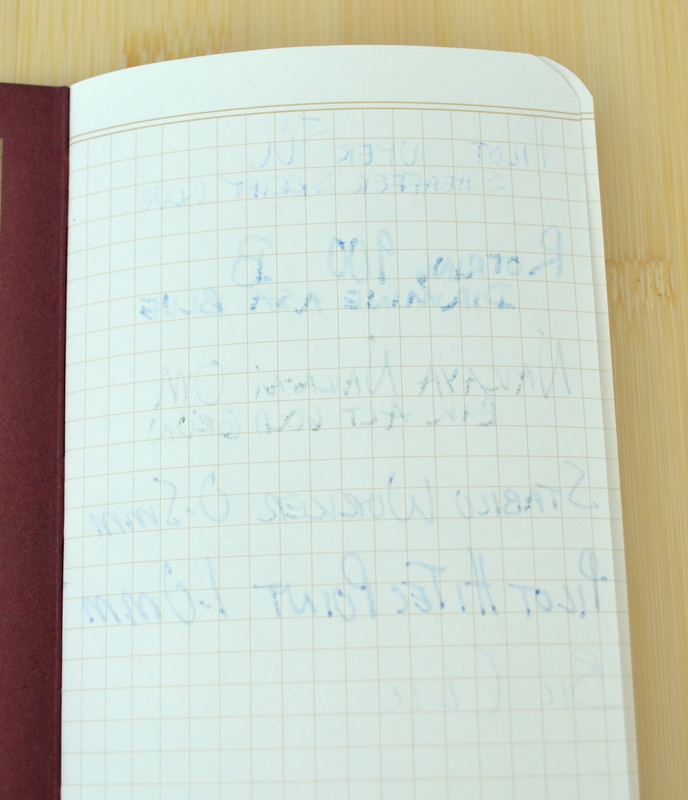 My little notebook cost me 27€ (or about $30 USD at the time of this writing). 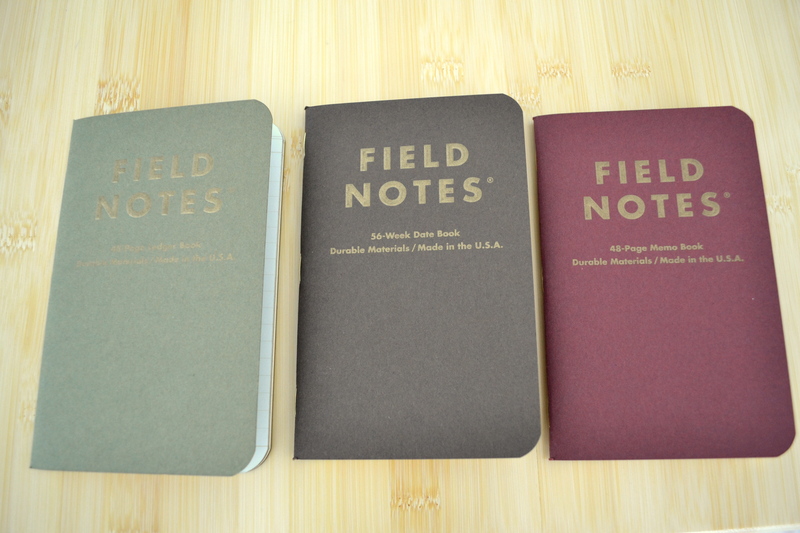 I will buy more of these in the future but as a fountain pen user these notebooks are a luxury and not a necessity. 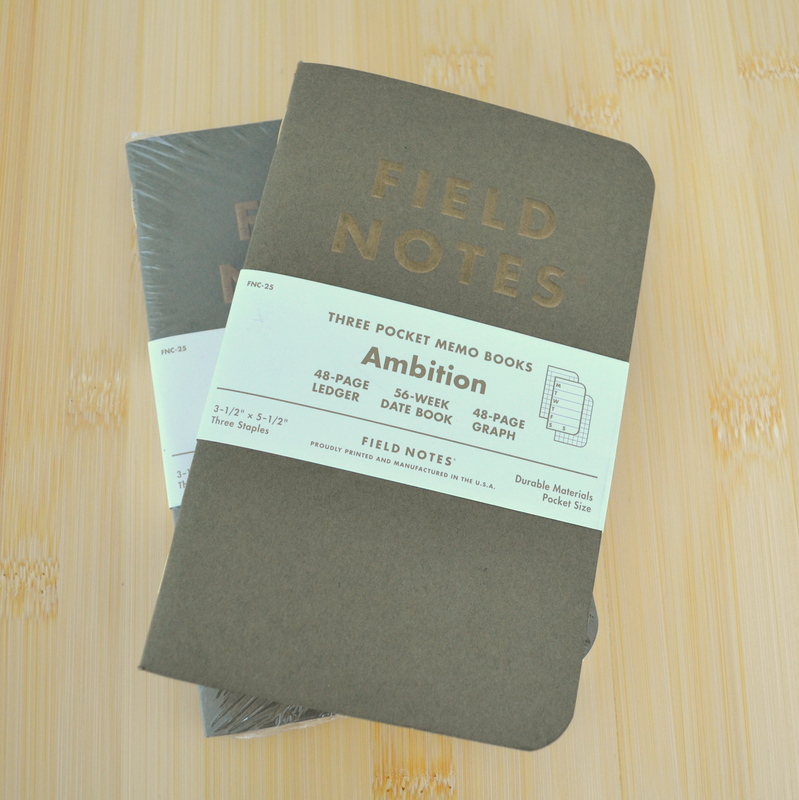 “Ambition” is the 25th release in the Field Notes Colors series of limited edition notebooks. 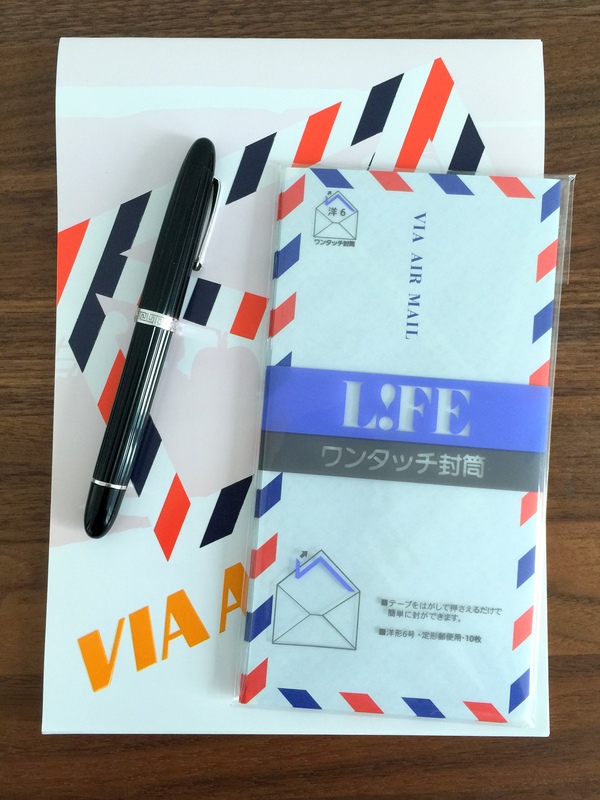 The three pack contains a datebook, ledger and memo book. 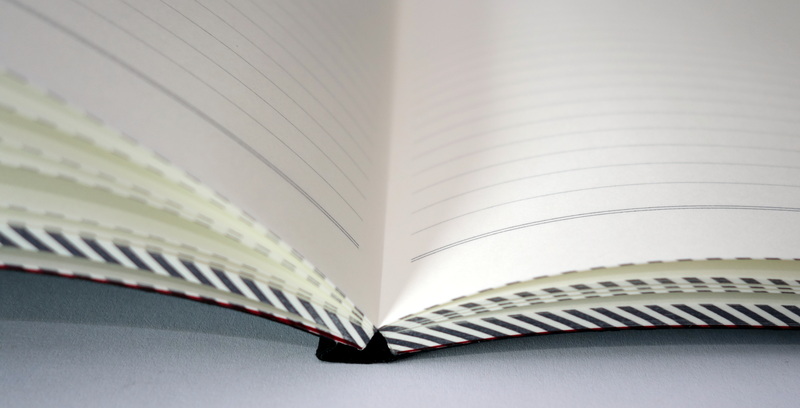 Let me say right off the bat that I do not have any use for a datebook or a ledger and I would have liked more memo books in any of the standard formats (dot grid, blank, lined, etc…). That aside, I think this is one of the very best Colors editions. 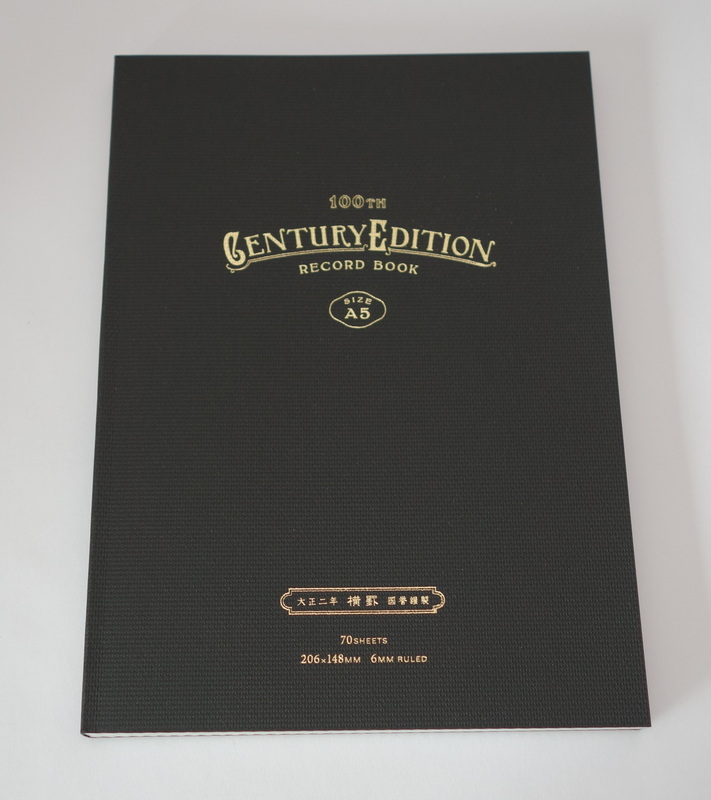 I love the subdued covers with gold embossed logos, gold colored staples, and gold leaf gilded edges. These books are nice. 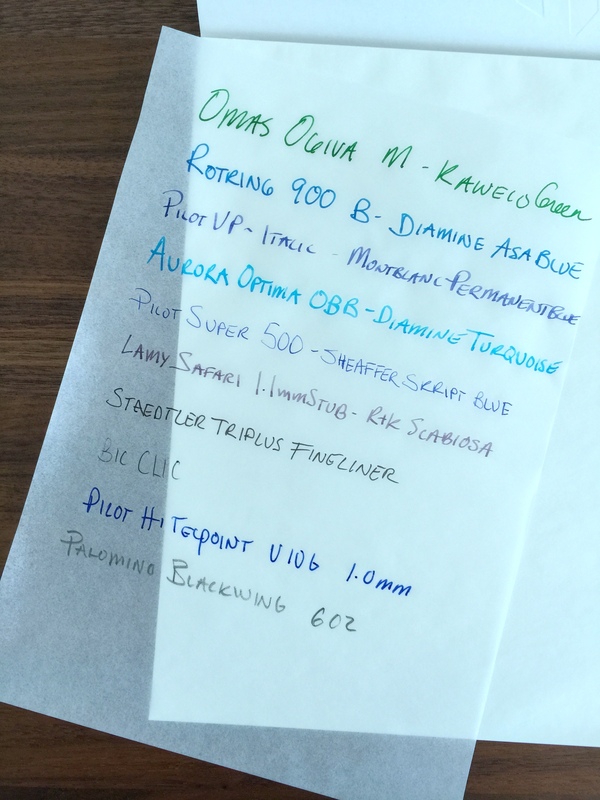 The paper holds up to fountain pen ink quite well though thicker and juicer pens will bleed through. 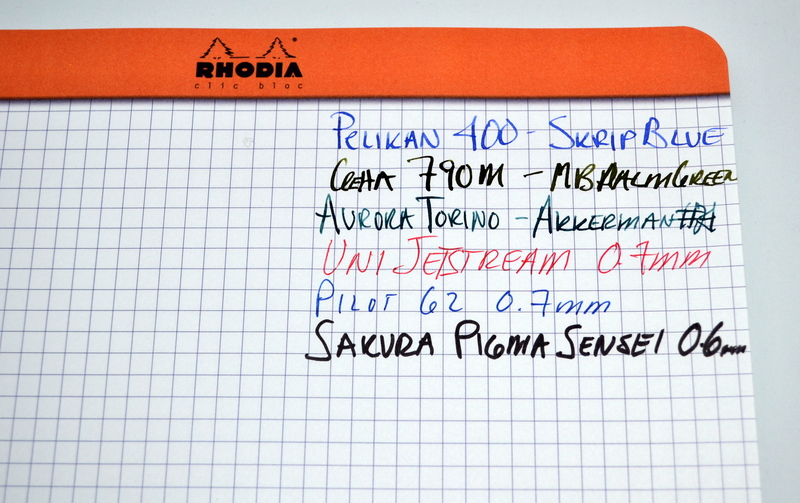 Some bleed through and ghosting but not bad at all by Field Notes’ standards. 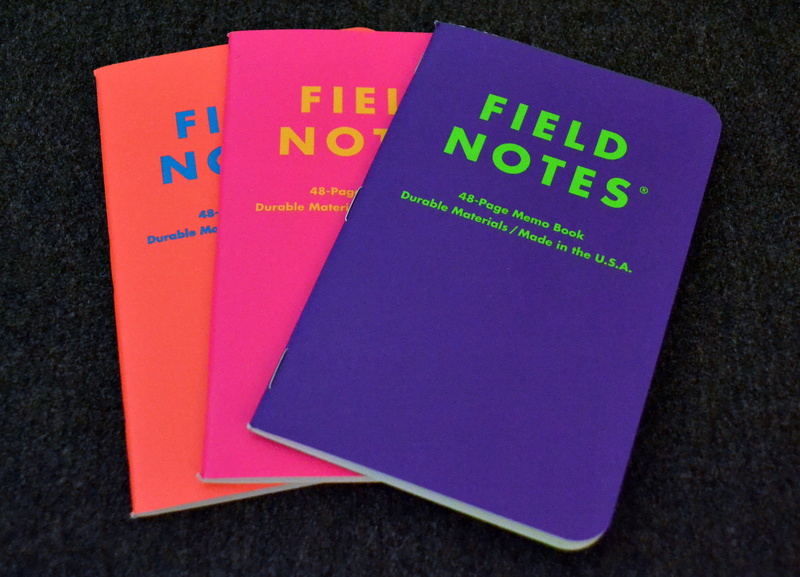 I hope the Field Notes decides to make the Ambition memo book part of their permanent line. 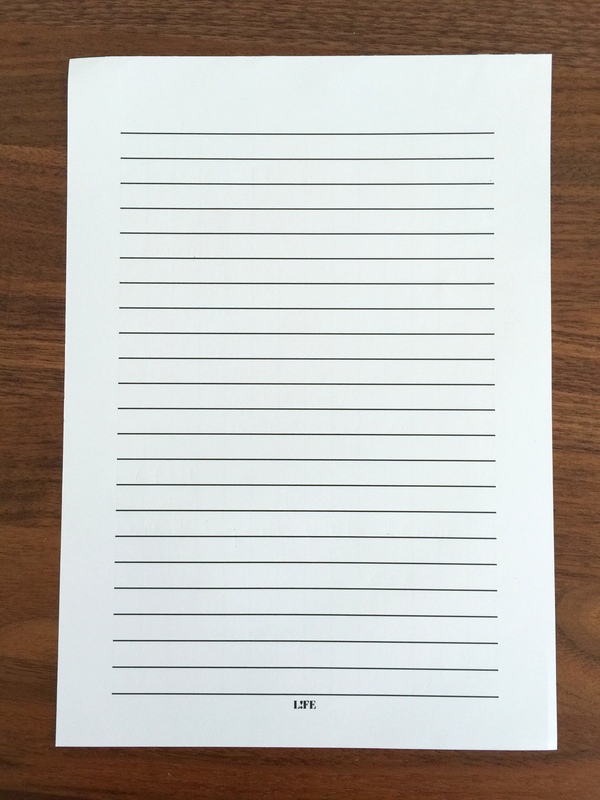 I would happily pay a premium for it over the standard memo book. 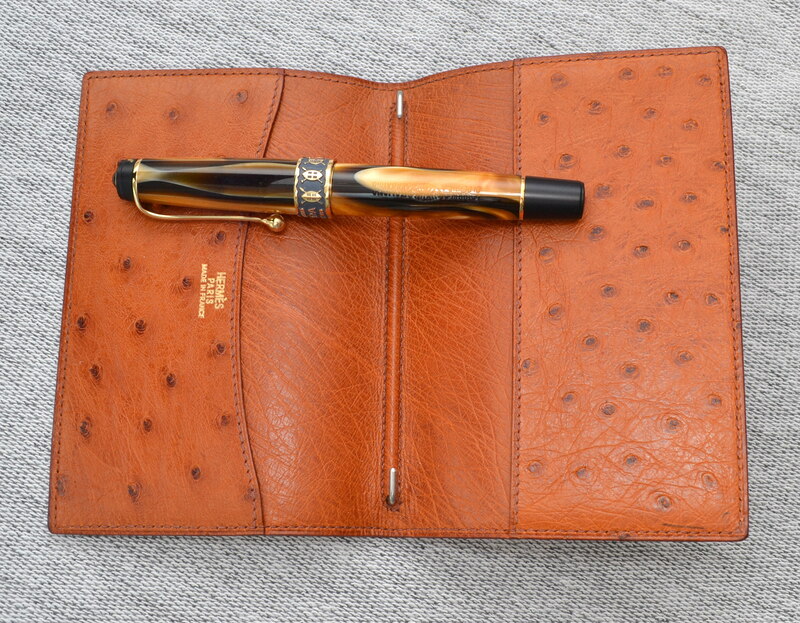 I love items that crossover my interests and the Hermès Ostrich GM notebook/agenda cover is just such an item. 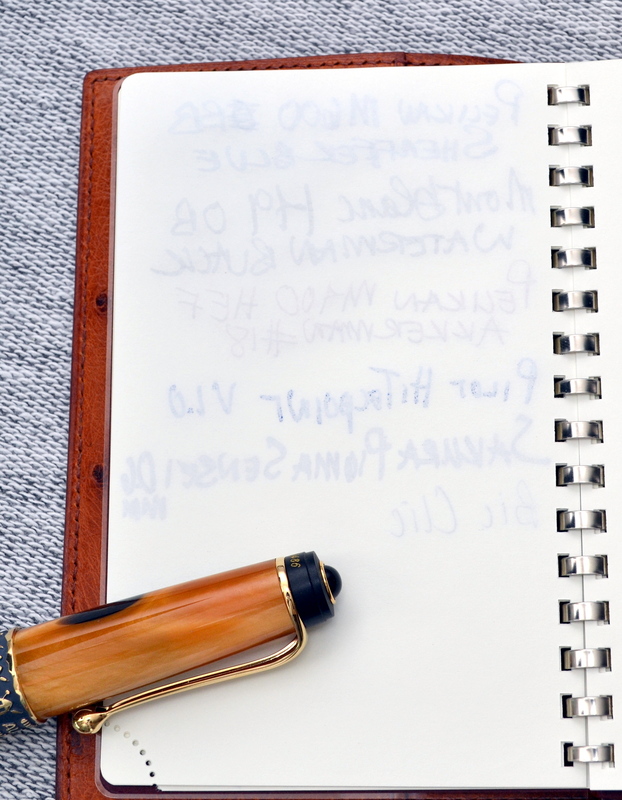 It combines my interest in stationery with my interest in fine leather craftsmanship. The agenda is Hermès’ GM size which stands for “Grand Modèle” and is their second smallest agenda. 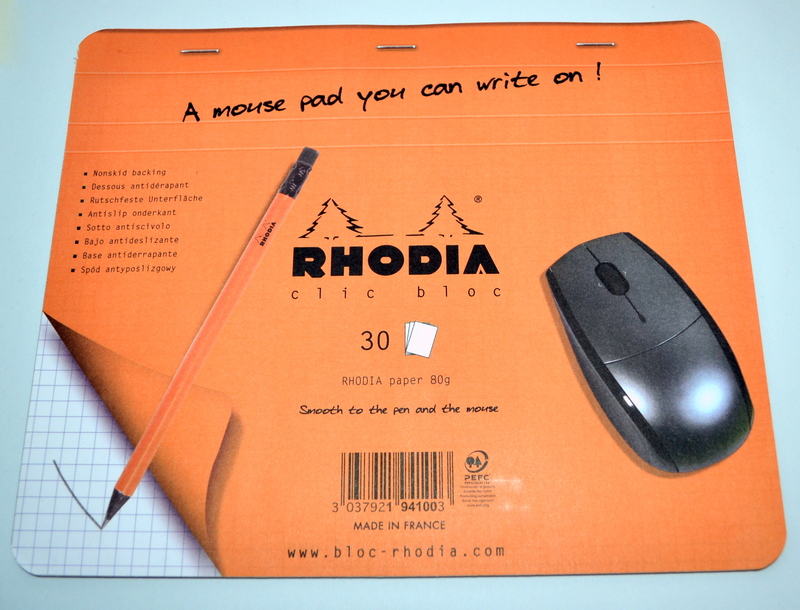 The cover measures 9 cm wide x just over 13 cm long. 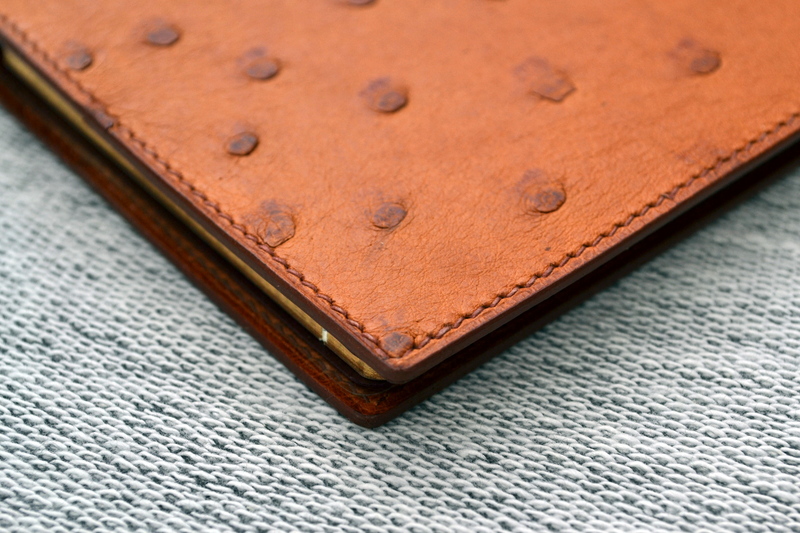 The cover is made out of a beautiful natural color ostrich skin (the pictures look much more orange). 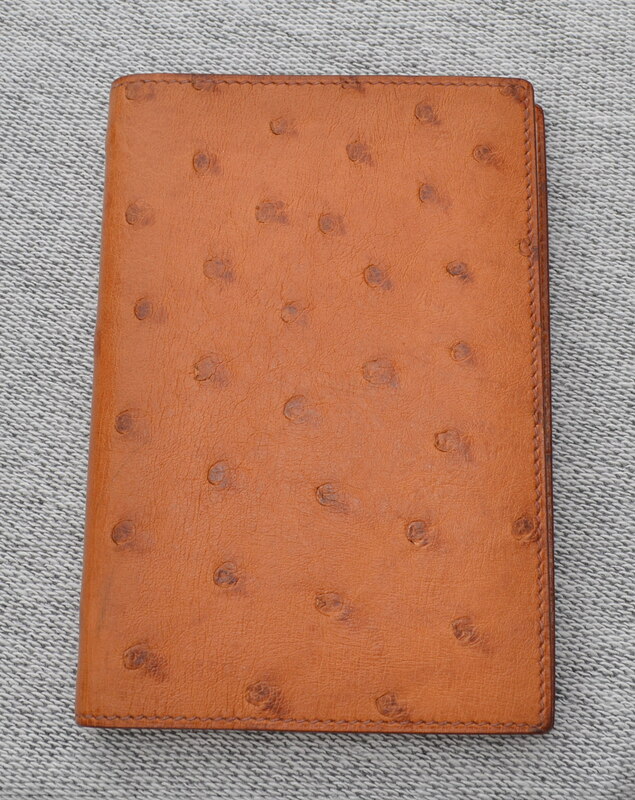 Ostrich is a bit of an obnoxious looking exotic leather but once you get past that it really is an excellent and long lasting skin. Hermès puts blind stamps in all of their products which allows me to date this cover to 1997 and at 17 years old it doesn’t look too bad. 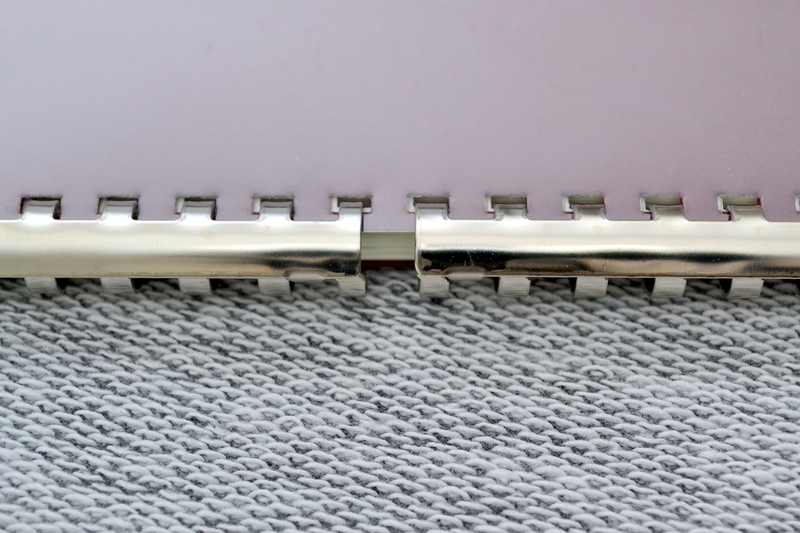 The saddle stitch is done by hand and is of the highest quality. 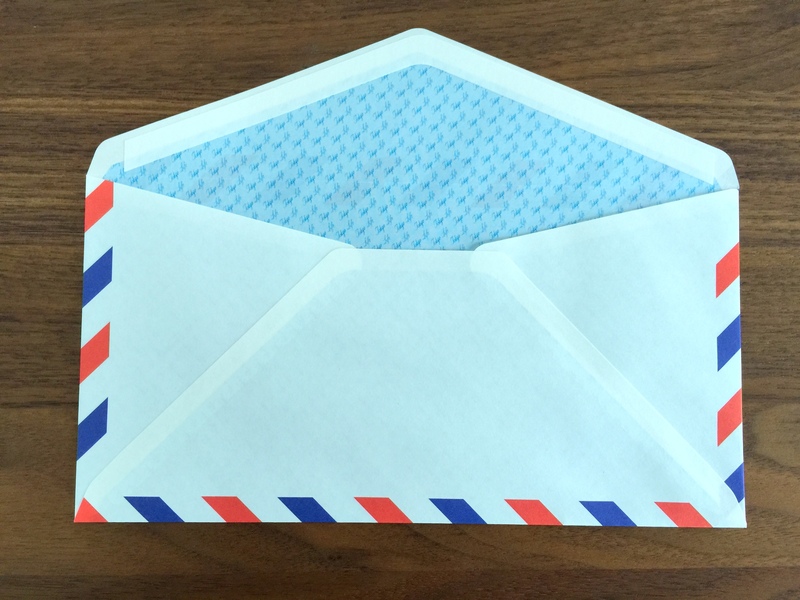 The benefits of a saddle stitch is strength and repairability. 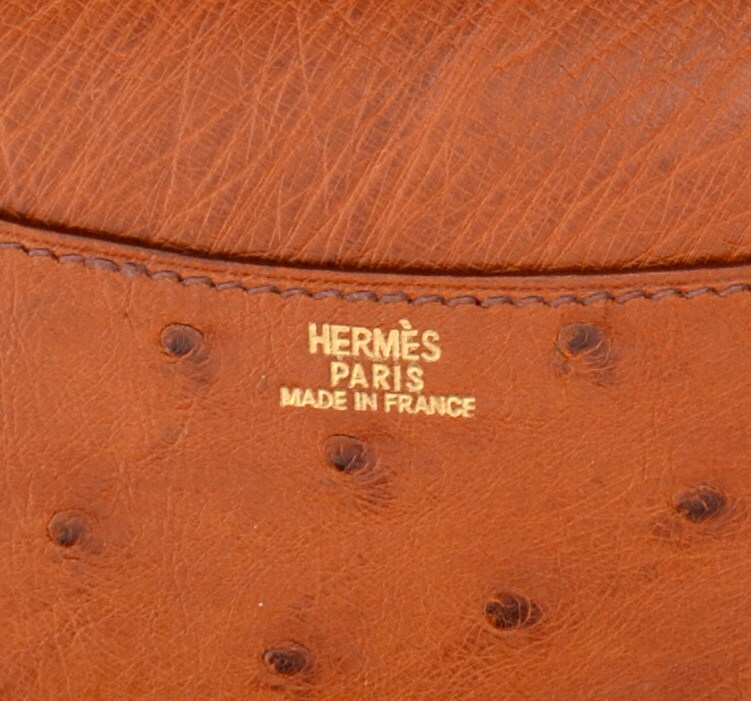 If a stitch becomes loose it can be easily repaired by an Hermès craftsman. 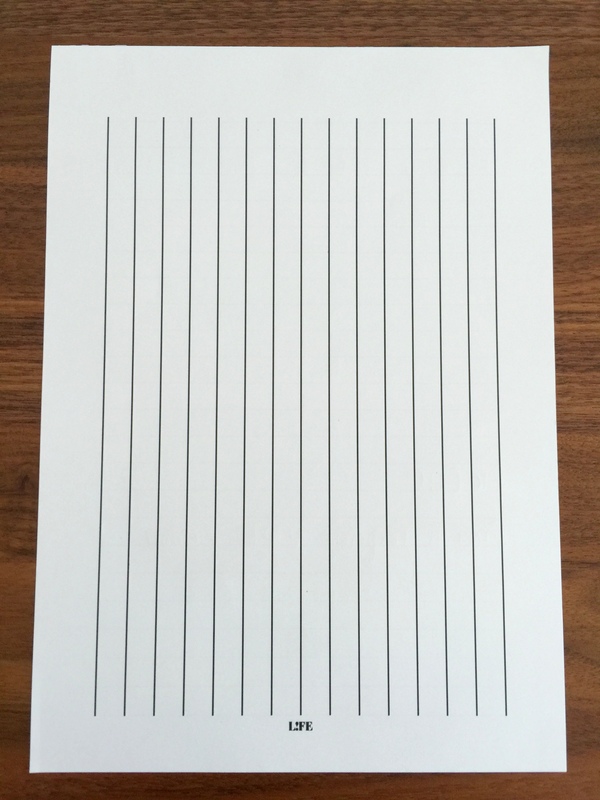 Hermès uses very high quality stationery grade paper in every notebook and agenda that I have seen and this is no exception. The GM size comes in a number formats to choose from. 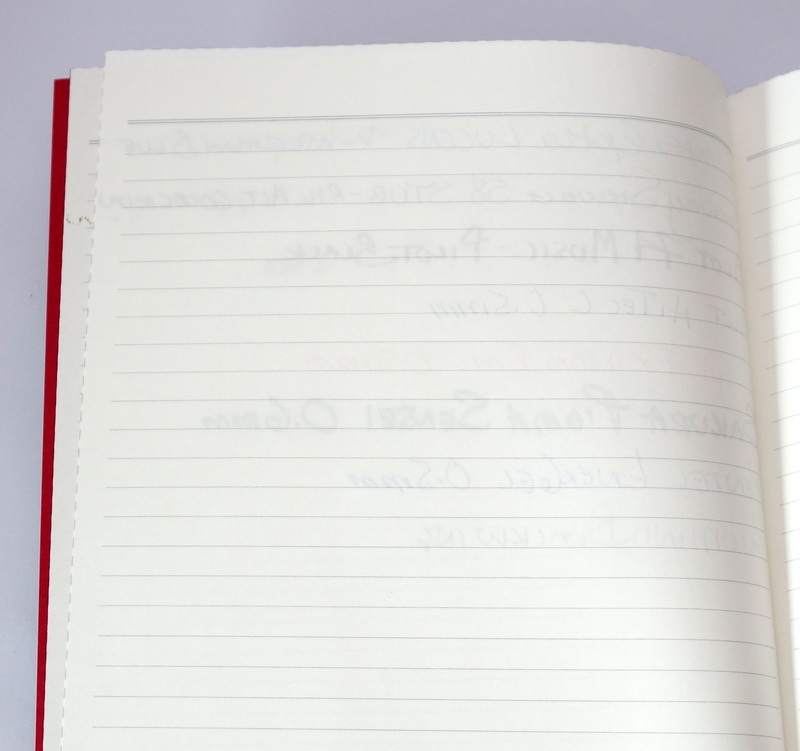 There are two agenda styles as well as a blank notebook and a lined notebook. I normally prefer the lined version but they were out of it so I ended up with the blank version. 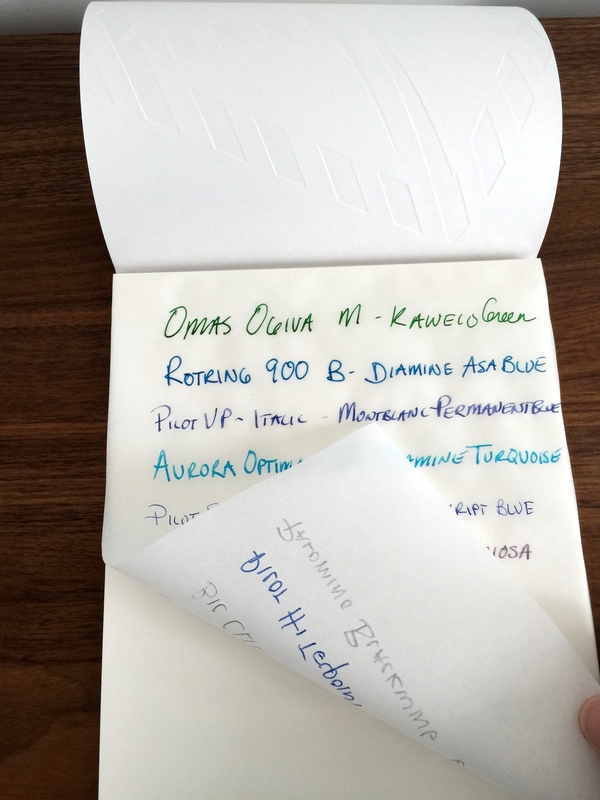 The paper is very thin with a gilded edge but it holds fountain pen ink like a champion. 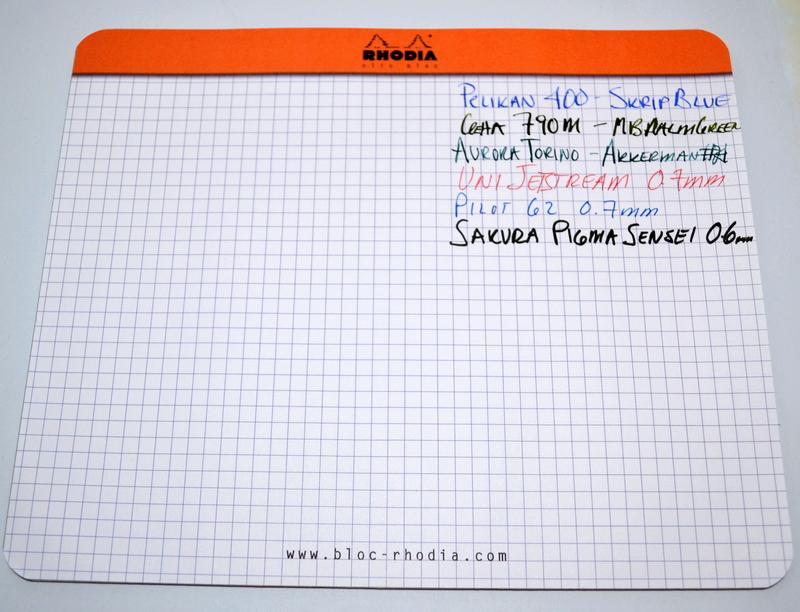 The only bleeding I saw was with the Pilot Hi-Tecpoint V10 which is a fat juicy 1.0mm roller ball. 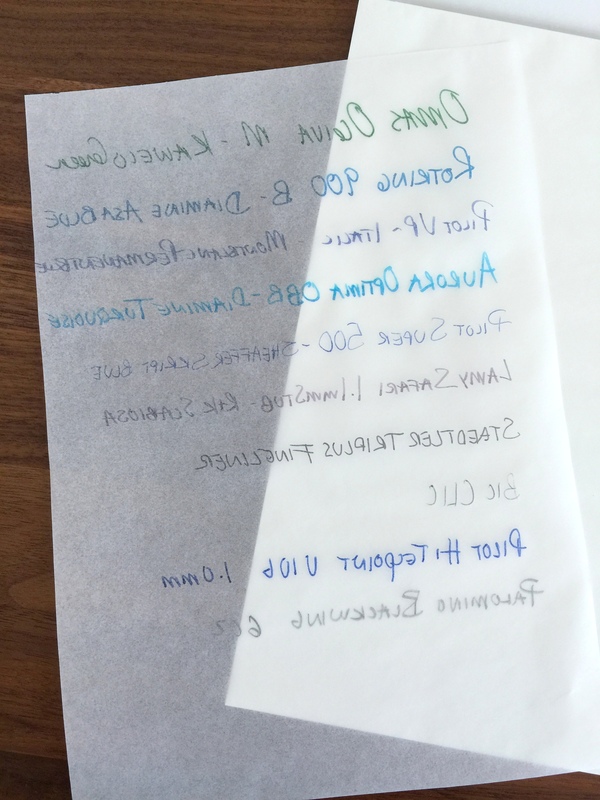 There is minimal ghosting which is impressive for a paper so thin. 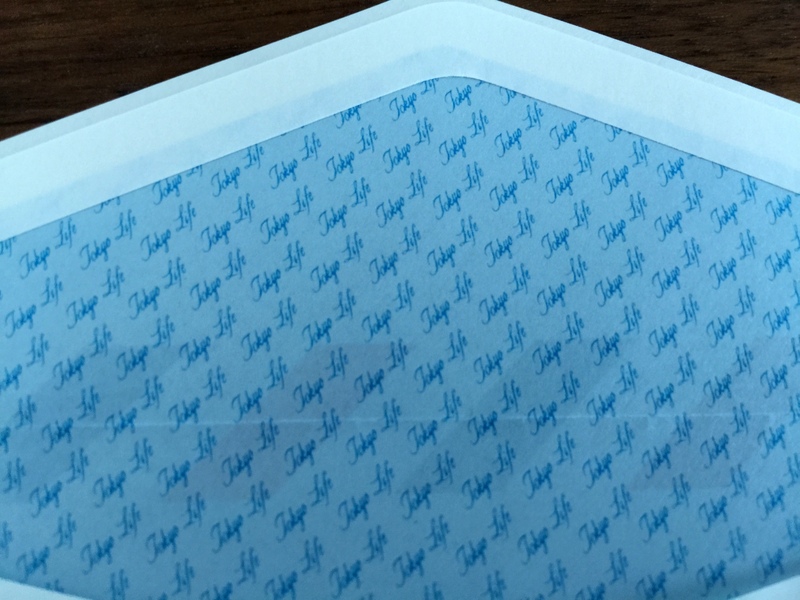 The corners of the pages are perforated so that you can quickly jump to where you left off. 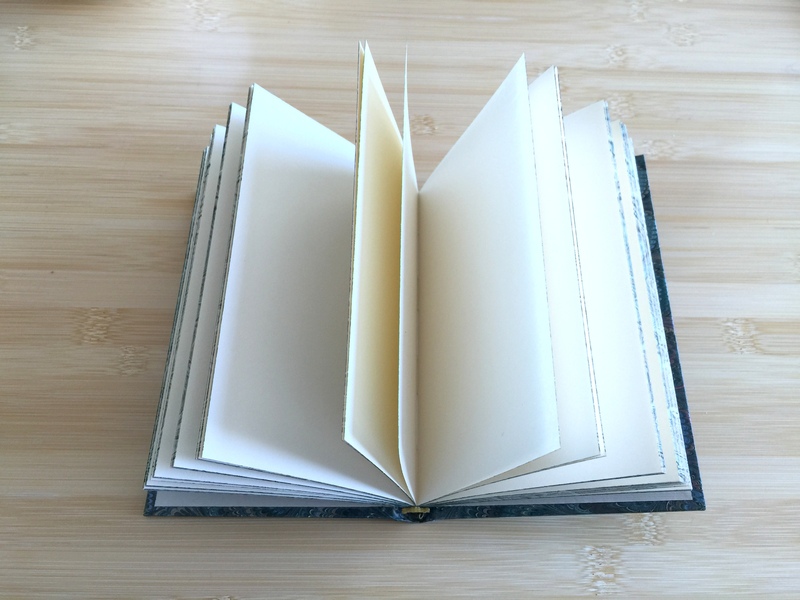 The binding is ring bound with a split in the middle that allows you to bend the notebook into the clips of the agenda cover. 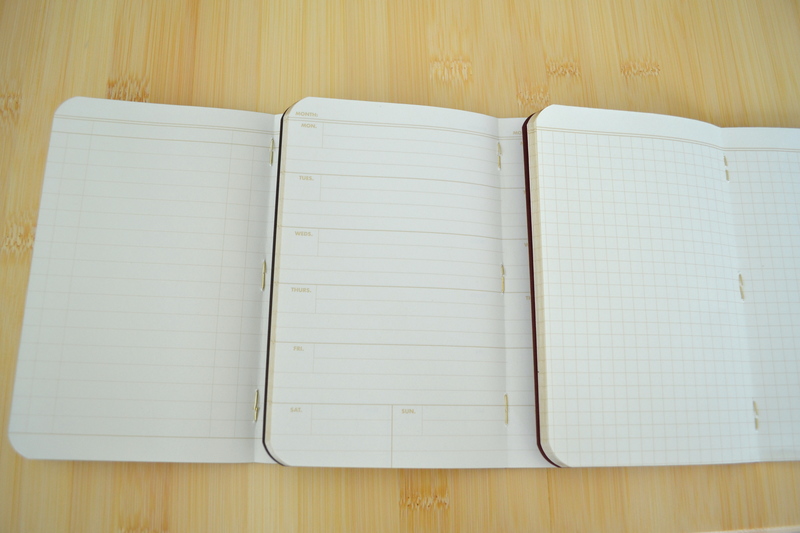 The blank and lined notebooks are $30 each and the agenda refills are $100+. As for the agenda cover the last time I checked it was right around $1,000. 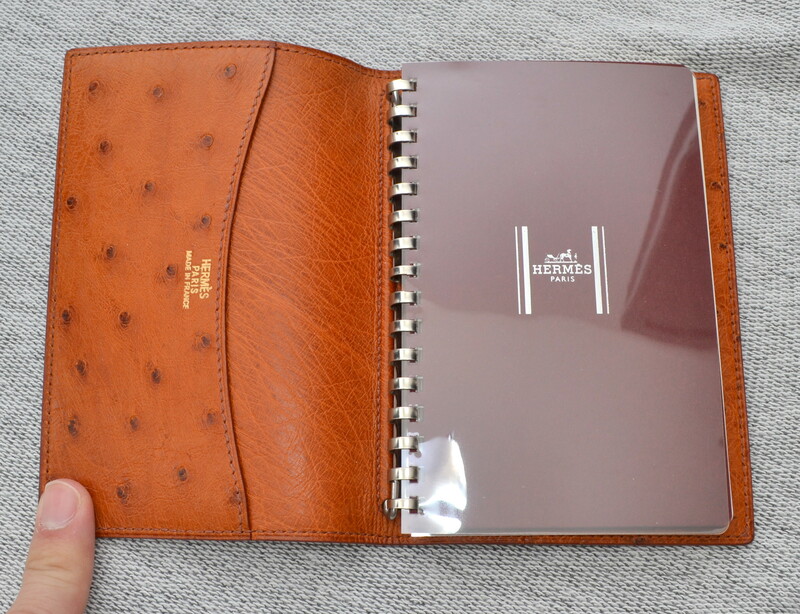 There is no denying that this is a luxury product; nobody needs a small notebook cover that is this expensive. 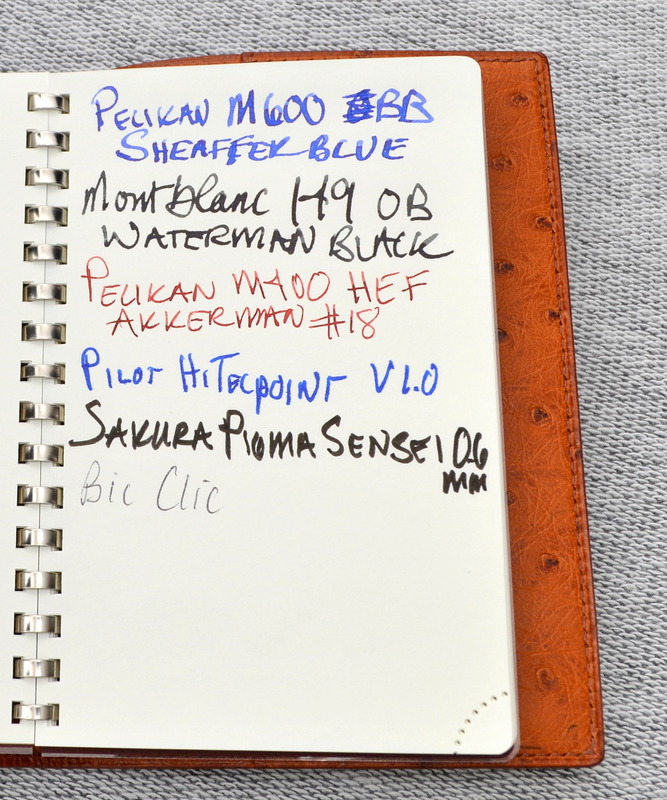 You can find these notebooks second hand for around $100-$200 depending on condition but be warned that there are fakes; Hermès wont sell anything with sloppy workmanship so check for tight saddle stitching a clean Hermès imprint. If you go used I recommend Japanese sellers as Japan has very strict laws on selling fakes. 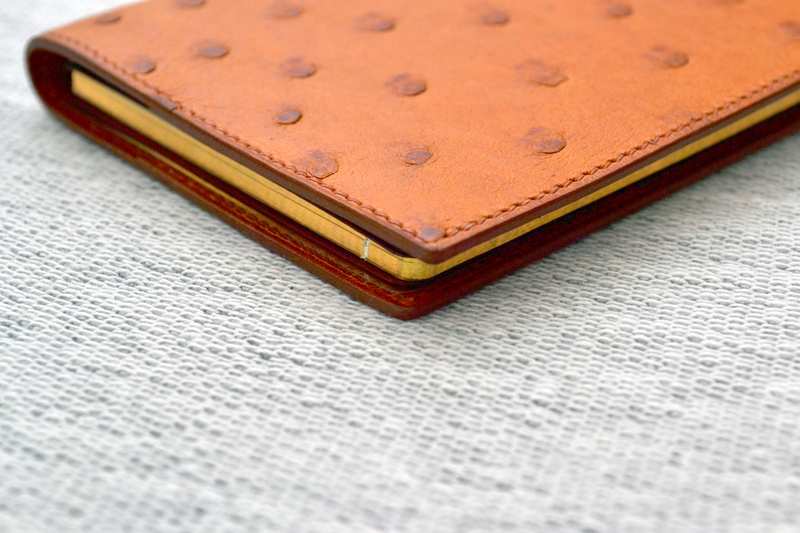 I recently had the cover serviced by the Hermès craftsman in San Francisco and it cost $125 to spruce it up which is something Hermès recommends every three years. 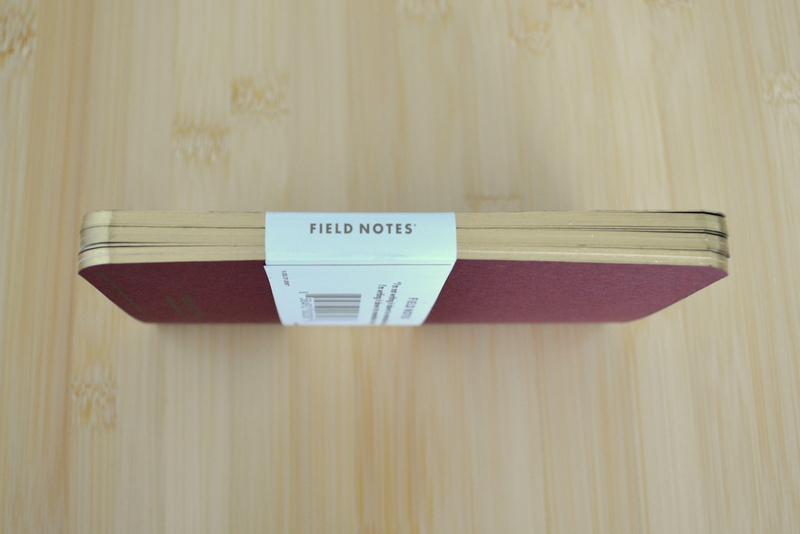 Here is the top secret outer cover of Field Notes’ most recent limited edition….plain black and nondescript. 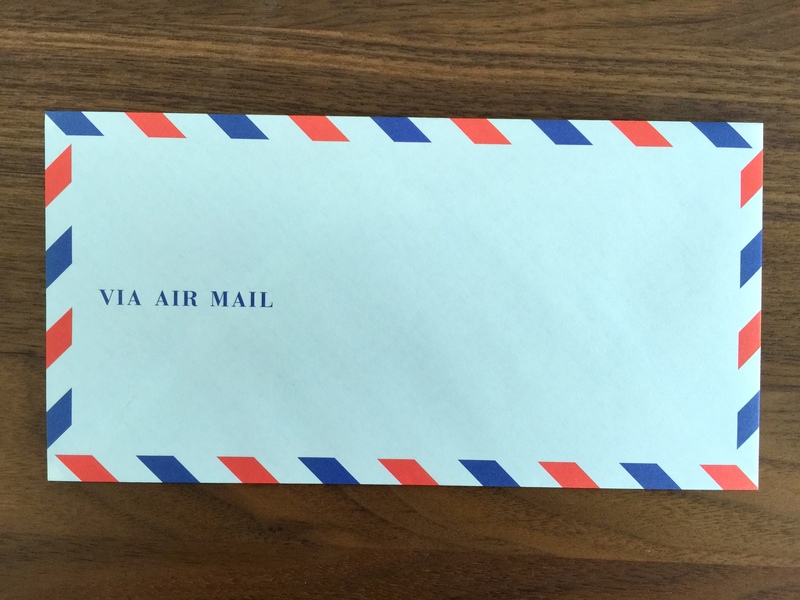 I opened the package and MY EYES! So bold! So intense! They are all color wheel near opposites. The interiors feature a reverse color scheme which is even harder on my eyes to look at than the covers. My first impression is negative…the covers are just too bright.